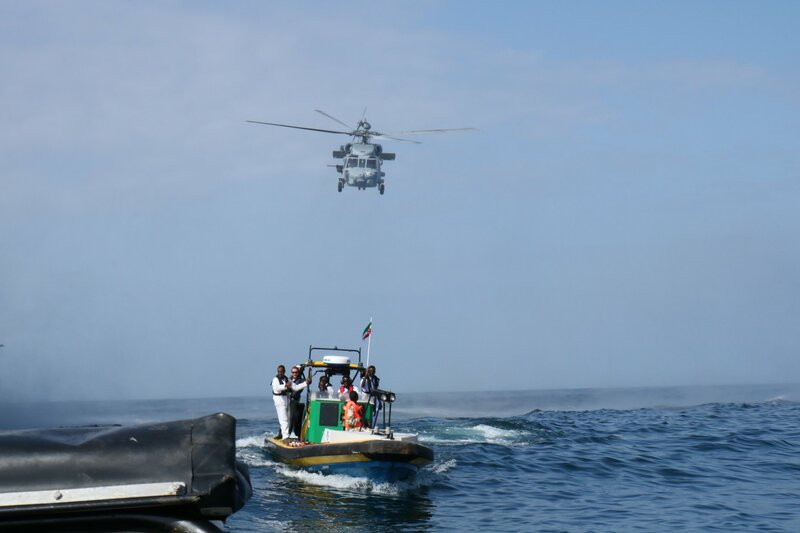 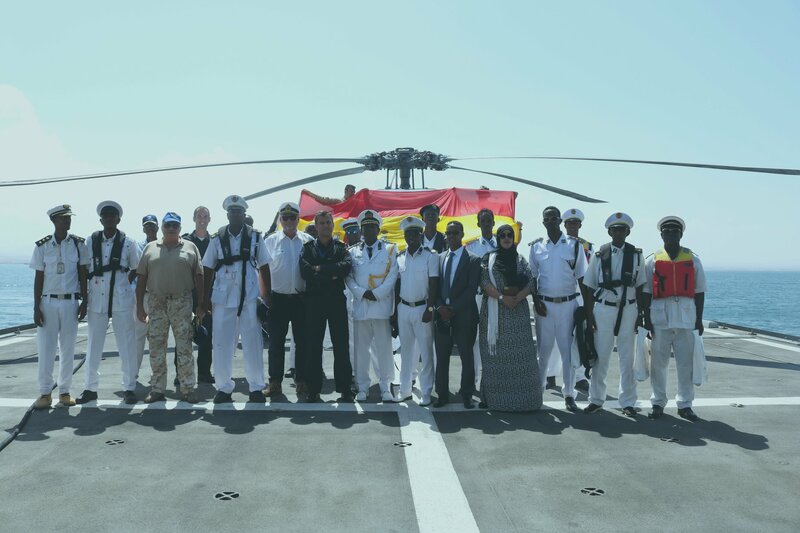 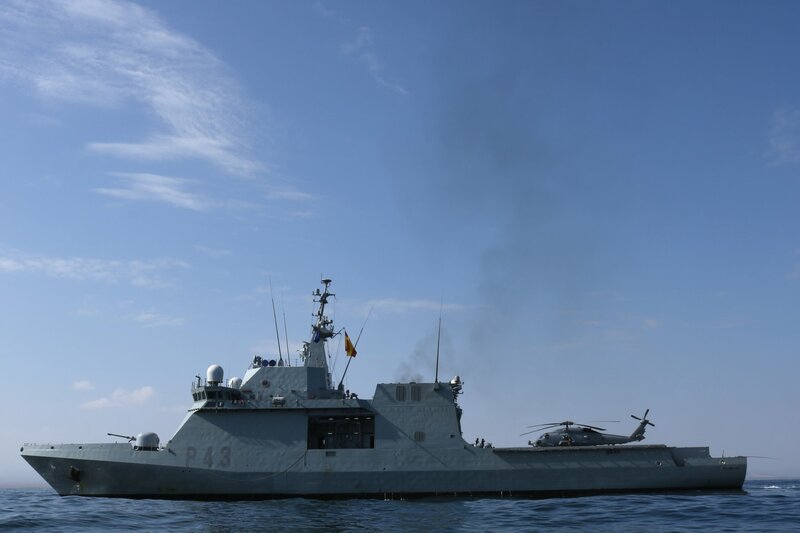 The Spanish ship ESPS Relámpago welcomed the Somaliland Coast Guard (SLCG) and representatives from the Somaliland Ministry of Interior (MOI) on board the ship in the Gulf of Aden. 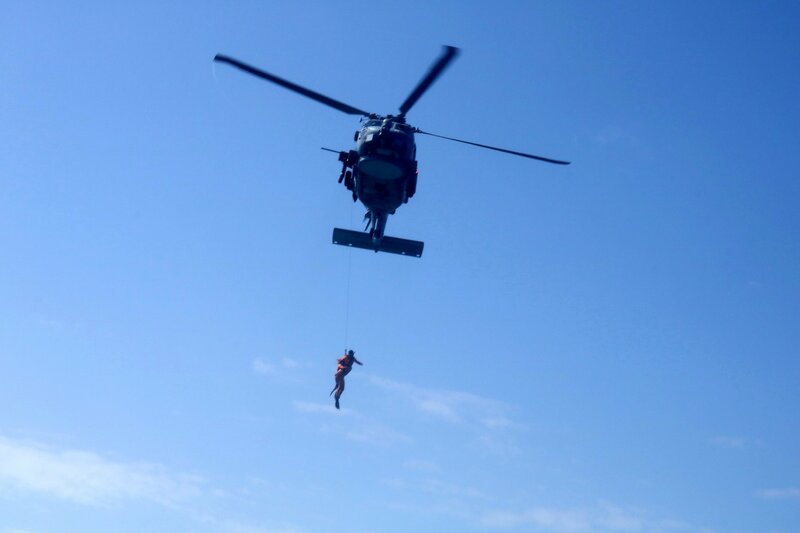 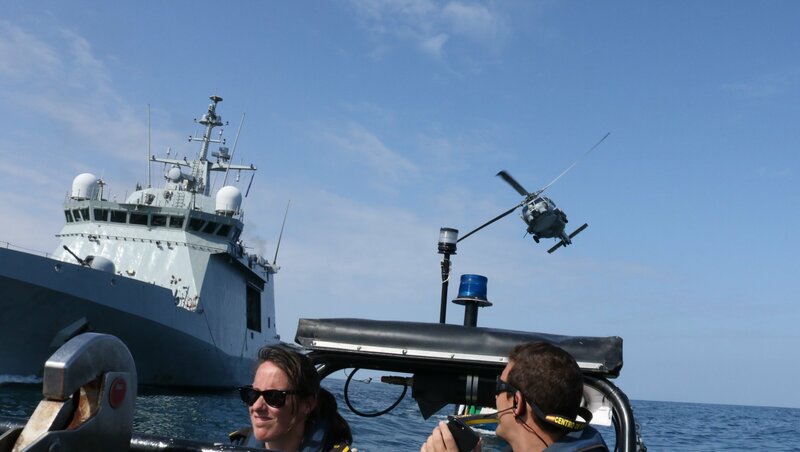 They were accompanied by personnel from EUCAP the European Capability Mission. 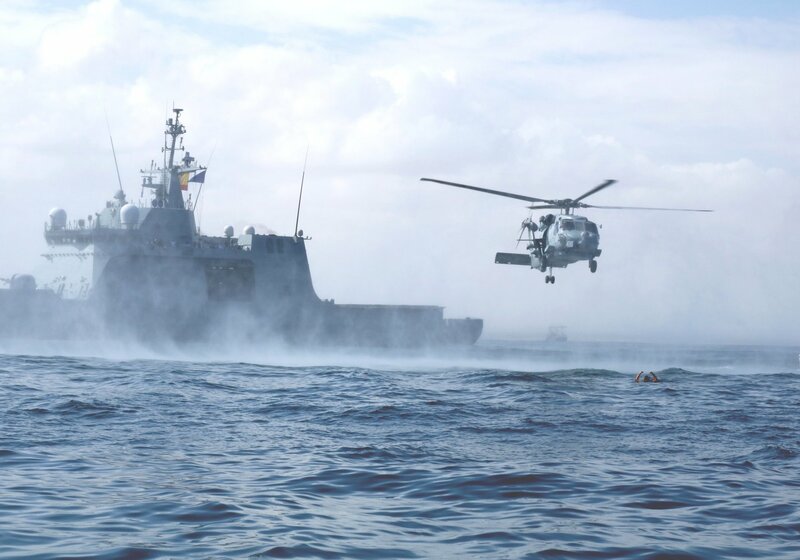 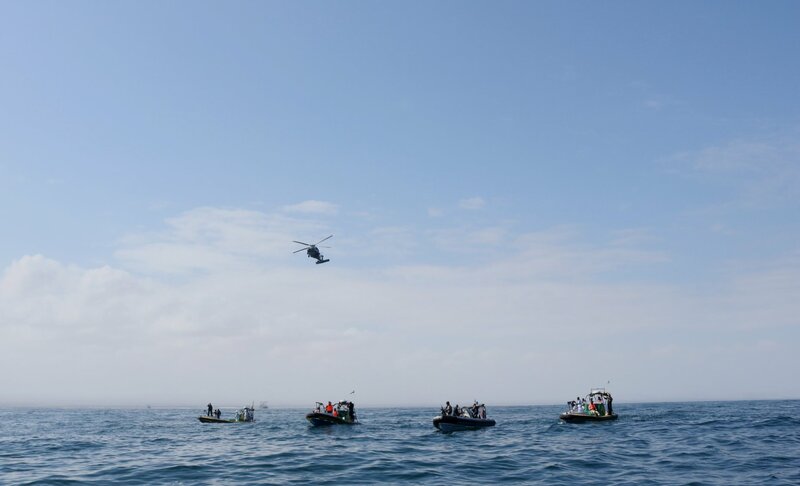 Working alongside with regional partners’ increases capability to deter piracy. 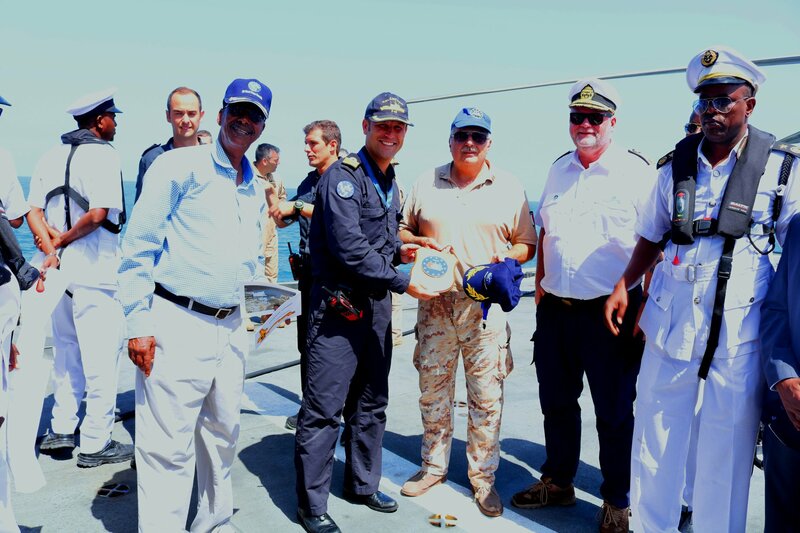 EUCAP is pleased to witness the progress the SLCG is making as a maritime law enforcement agency. 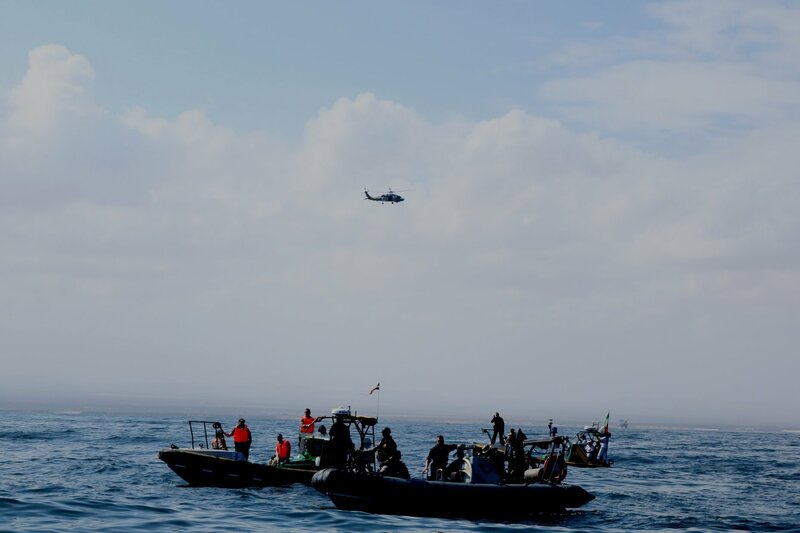 The recently adapted Somaliland Coast Guard Law, whose drafting EUCAP had supported since 2013, clearly lays out the duties of the Somaliland Coast Guard and the role of civilian maritime law enforcement. 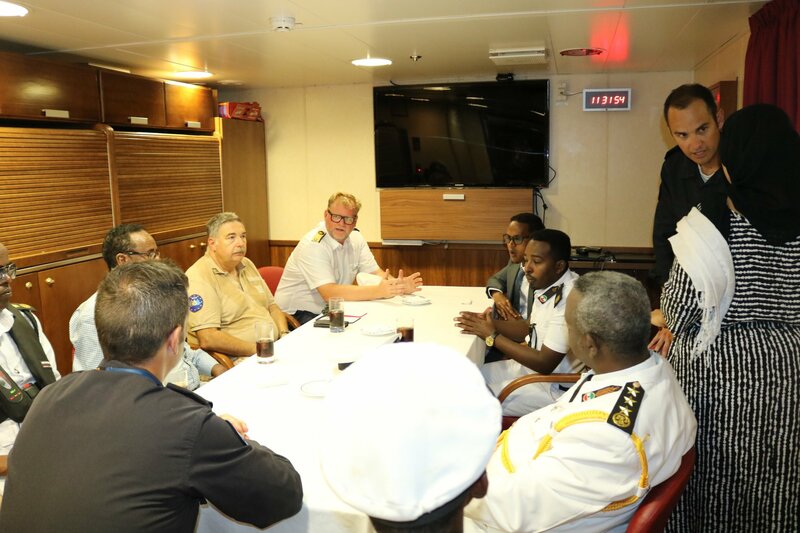 At the same time, this on-board training is an epitome of the EU Integrated approach to peace and prosperity in the area: safe and secure ports are a prerequisite for a flourishing Blue economy and prosperity of Somaliland.